Abraham’s Journey is an allegory about peace in the universe and about overcoming fear of the unknown and recognizing the unity of all life. Abraham, retired from the adventures of knighthood and cloistered in a castle close to a fireplace for the long winter, stirs with restlessness when snow and ice melt and spring comes to the land. He and his horse set out for the near mountains and find adventures, a dragon, battles and increasing knowledge. Abraham and the dragon are held captive in a dungeon, escape from the dungeon and travel onward. Their experiences bring deep changes to their thoughts and lives. They find peace, friendship, and appreciation for all life. A small book, 15,000 words. Reviews and a sample of Abraham's Journey. Please send your review to Jon@oregonauthor.com. 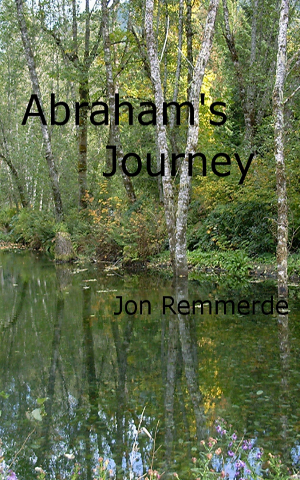 Abraham's Journey is available as an ebook.